Facebook, Twitter, and Instagram have become household names and even extensions of us. How many times have you gone out and seen someone glued to their phone on one of these channels? If we don’t start breaking away from them for drinks with friends, bathroom breaks, work meetings… we might start growing hashtags out of our fingers. We’re obsessed. 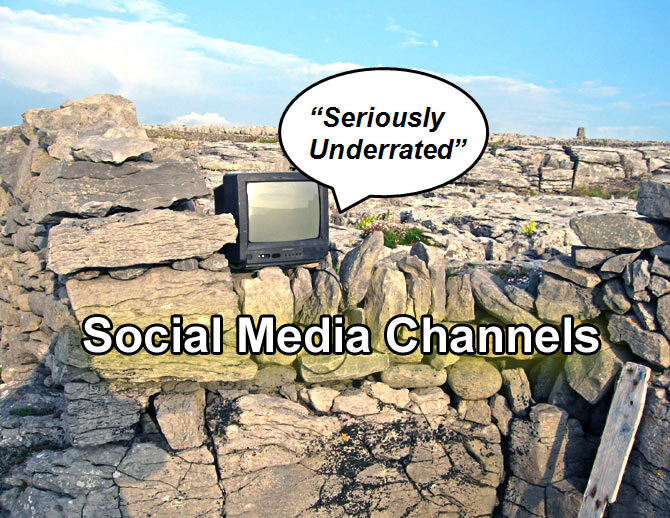 While I’m a bag fan of the three for personal use and strategically used as part of various social media campaigns in business, I think many businesses are missing the ball by not looking at the following less common social media channels. Flipboard is a mobile app that gathers articles, blogs, and other news features from across the Internet and brings them together in one location. Users can follow news outlets, bloggers, different content creators, and boards that are created by other Flipboard users. For use in your content. For sharing content on other social channels such as Twitter and Linkedin that you are linked to. If you’re a blogger who manages social media, you’ll especially want to explore this channel, as it can help streamline the content creation process. The ability to distribute content across various social media channels. “Scoop” and share content you discover on the web. 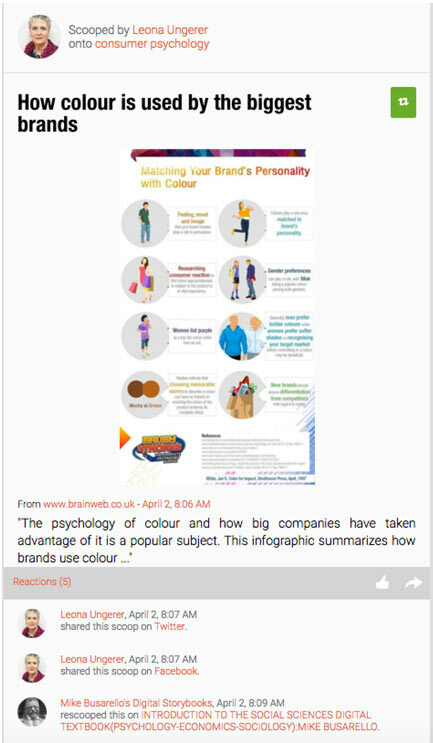 React to content posted by other uses, as shown on the screen cap below. Find relevant content and publish it. Show you expertise and generate online visibility. Generate leads through the content you publish. Shared on Listly site on trending pages and related lists. Shared via Listly Newsletter to more than a 250,000 subscribers. Shared via Listly social channels on Facebook and Twitter. Listly can be carried over onto a blog post by embedding a list. Once your list is embedded, it appears directly on your blog post and can help motivate your blog readers to engage. 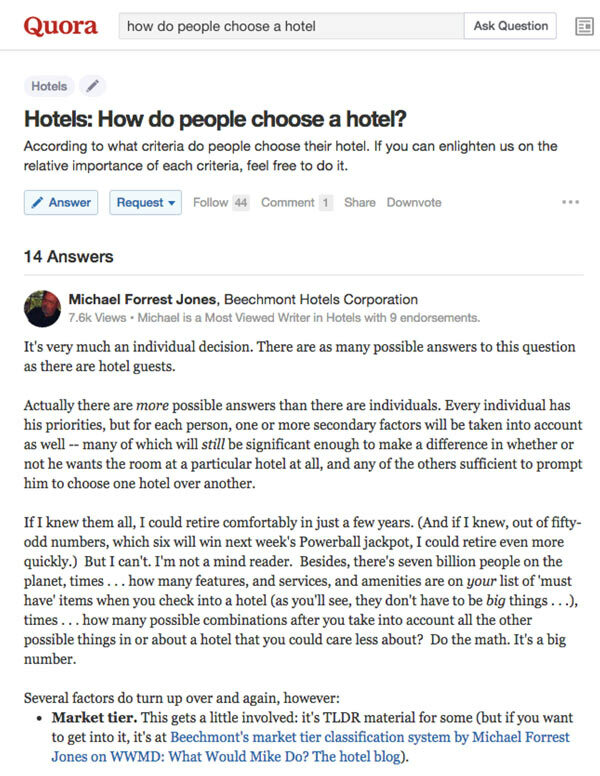 If you could benefit from a channel that connects you to just about everything and anything you could want to know about, Quora should be your go-to. It operates as a question and answer forum. Ask a question – get an answer (much like Google, but by people). When you need some ideas for what to use in your social media content, check out Quora for inspiration. I’ve found one of the ways to get the most out of it is to research the types of questions and answers your target audience might seek out. The channel makes collaboration and learning easy. It has been more popular in the United States and is slowly making its way to Canada and Europe. Unlike any other social media channel I’ve ever used, Ning allows users to create their own social network for their brand’s community. From there, they can participate in conversations with the communities they want to engage. This channel not only opens up the conversation between a company and customer, but between customer and customer. Add value to your brand by encouraging customers to talk about your products and services through community creation. Get assistance in content creation across other channels – conduct market research. Get integration on Facebook, Twitter, Linkedin, and other social media channels. Fun fact: Large corporations such as Hershey, Saturn, and Martha Stewart are embracing Ning by creating a platform where customers not only share their opinions; they share their passion by showing how they use the products. Having had been a former DJ, I was naturally attracted to Blip.fm – it’s the social media channel for music lovers. While it’s not a typical channel to use in the majority of industries, it’s worth checking out if you work in the entertainment space or need to feel inspired. Become a disc jockey and create your own music station. In addition, create a blip. Blip’s blog describes a blip as: a combination of 1) a song and 2) a short message that accompanies it. Users can create a blip by using the search box to locate an artist or song they’d like to hear. If you’re business is in the entertainment space, you’ll want to take advantage of the Blip feature that lets you get social by meeting other users with the same music interests and find new music. You’ll make connections on a more personable that could turn into leads. What other less common social media channels have you heard of? Leave a comment below. I am always beating myself up over not investing more time in Quora, which I really like. Some people seem to do really well there showing off their expertise. Wow, this is great. Can’t believe I’ve never heard of some of these. My brother told me we should get more involved in Quora but I’ve been putting it off. Thanks Simon & Emory for another great post! Great information, Simon. Thank you. Thank you Simon Brisk, nice info. Interesting…want to share asap with cousin who is promoting gospel/country singers…he’s always on FB but I think that Blip would be perfect for what he’s doing. Most of the sources were new to me. 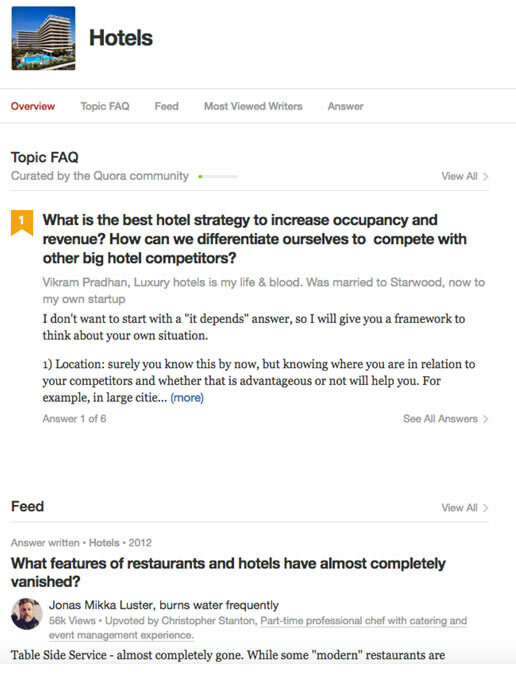 But I have been using Quora for a while now, and Quora is really a very very good source of improving your knowledge.